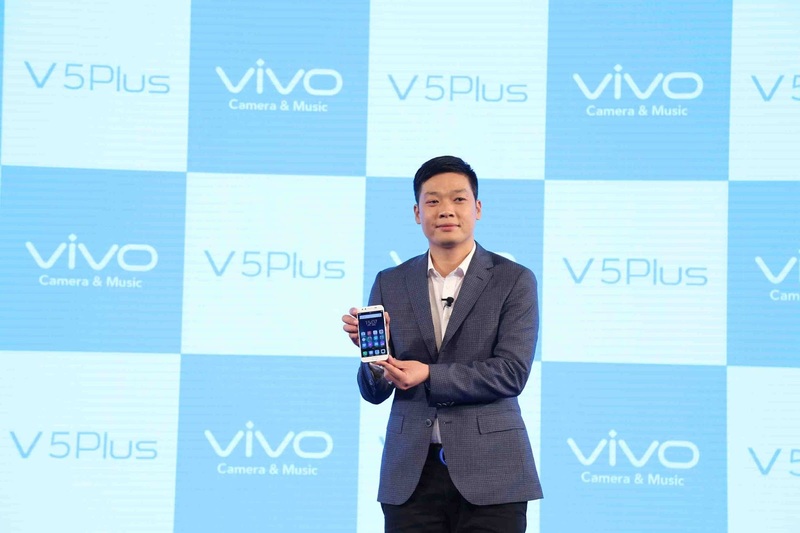 V5Plus is a perfect amalgamation of cutting-edge technology, immaculate design and breakthrough innovation. Vivo V5Plus takes smartphone users on a seamless experiential journey with a better resolution display and a much powerful battery. V5Plus comes in gold colour, and is priced at Rs. 27,980. 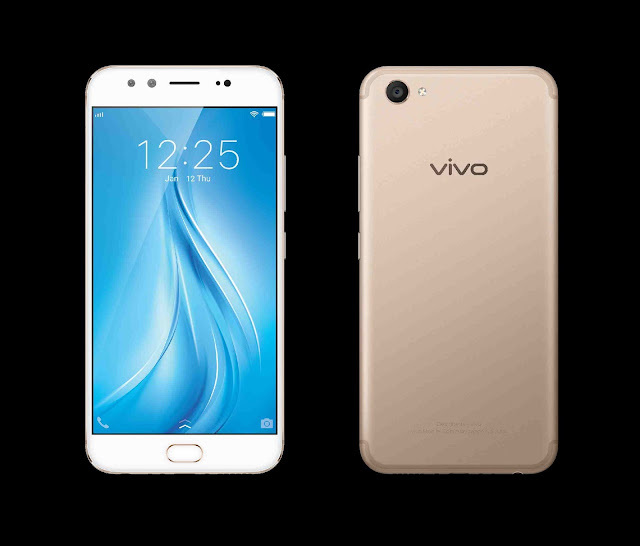 V5Plus is the first ever innovation from Vivo that offers dual front cameras for the Indian smartphone users. The perfect amalgamation of the two lenses i.e. 20 MP and 8 MP will ensure that a device captures the much-needed depth of field thus letting you capture your perfect selfie. When talking to Media and all invitees at the launch of this Flagship Device, Mr. Kent Cheng, CEO, Vivo India, has said that “We are delighted to launch V5Plus in India. Vivo has revolutionized the Selfie Experience with its first-ever 20MP front camera. Our latest offering, the V5Plus is the outcome of our innovative pursuit to consistently raise the bar and create a transcendental experience for our customers. The device is equipped with dual lenses i.e 20 MP, 8 MP to offer crystal clear selfies with a rear 16MP camera to capture landscape beautifully. The dual front camera creates a depth-of-field effect that keeps faces sharp while creating a beautifully blurred background which is enhanced by digital optical algorithms to generate an amazing Bokeh effect. Advanced Camera Technology gives users the power to add focus even after the picture has been clicked. Users can shoot first and then select the desired focus area, adding Bokeh effect wherever necessary. Enjoy exquisite clarity and vivid, natural colors in every shot with the all new Vivo V5 Plus. V5Plus runs on newly upgraded Funtouch OS 3.0 Operating System (based on Android 6.0) which provides a seamless top-of-the-line performance. Enjoy great power with a 4GB RAM, 64GB ROM and a robust Qualcomm Snapdragon 625 Octa-core CPU. The remarkably sleek design of V5 Plus features a 13.87cm (5.5) FHD display, with curved edges and ultra-narrow bezels for a more comfortable touch. The fifth generation Corning® Gorilla® glass provides stronger screen protection. V5 Plus’s slender body is packed with a 3055mAh battery, designed to power your device to last through a longer working day. The twin-engine charging technology offers a faster charging speed and the charging protection system offers a safer, worry-free charging experience. Audiophiles/Music lovers will now enjoy every beat played on V5 Plus with the custom-built AK4376 Hi-Fi audio chip that provides an unprecedented sound quality by giving a signal-to-noise ratio experience of up to 115dB. V5 Plus offers a technological breakthrough with its faster than faster fingerprint unlocking that unlocks the screen in just 0.2 seconds. The updated fingerprint recognition technology allows you to access your favourite apps by pressing the fingerprint sensor twice. The Premium Global Smartphone Manufacturer, Vivo entered Indiain the late 2014. In a short span, Vivo India has become an established Camera & Music brand. Vivo Indiacurrently has its presence in more than 400 cities in 22 states, with a strong focus on Camera & Music. Vivo is one of the fastest growing companies in India and one of the top 10 Smartphone brands in the world.